If classifieds sites did not feel threatened by Facebook as a competitor before, they definitely will and should now. 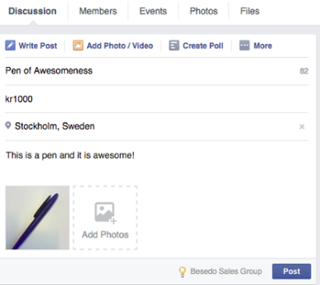 How Do Facebook Sales Groups Work? 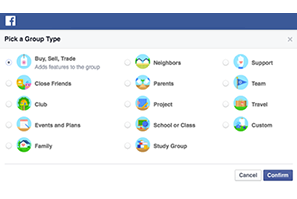 When you create a group you now have the option to pick “Buy, Sell, Trade” as the group type. Doing this enables new features for the members of the group. 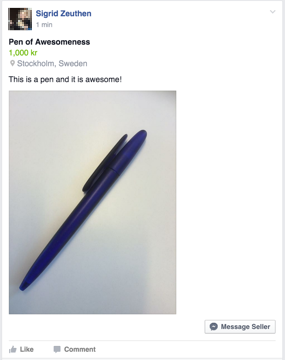 In sales groups it is possible to create a post using the “sell something” option. Posting something for sale is very easy and straightforward. You add a headline, a price together with a description and a photo if you want to. Then you post. It’s as easy as updating your status with baby pictures or the delicious dinner you cooked last night. And if selling is easy on your desktop computer, it is straight up seamless on mobile where you can snap the pictures and upload them directly on your phone without ever having to leave Facebook. Once something is up for sale, members browsing the group can message the seller with just a push of a button. Doing so will open a messenger conversation with the seller including a link to the item in question and with the personal message by the potential buyer. When your item is purchased you can mark it as sold so it stops appearing in the group feed. You will be able to view all of your sold items in the “Your Sales Posts – Sold” tab. This way sellers can keep track of their success. All of this makes the seller experience very smooth, but what about the buyers? Facebook has thought of them too. The groups have a search function where you can look for the items you need. 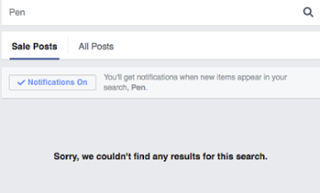 But the real genius is that should you not find what you are looking for, Facebook offers to track future uploads and notify you if something matches your search. This takes away all the hassle of searching through multiple listings. Instead the listings will be pushed to you based on your own specified needs. All of this might sound scary to people running classifieds sites. And honestly it should. Facebook is definitely rolling out the big guns in an attempt to assimilate traditional classifieds business into its ecosystem. And a lot of these initiatives will make it very natural for the 1.04 billion people logging into Facebook daily to conduct their classifieds business there as well. So how to answer this threat? Facebook hasn’t won yet! While the new sales group feature is definitely laying the foundation for a very strong setup in the future, it is still very basic in some areas. The search function and notification feature is really neat, but everyone who has worked with classifieds knows that sellers don’t always name their listings logically. 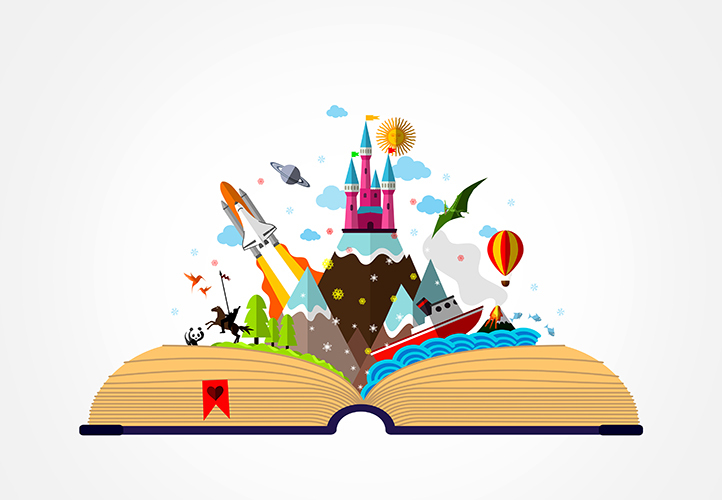 The sales posts are still listed chronologically in Facebook’s well known feed style. This works well if you are just procrastinating by skimming the lives of your friends, but if you are actually looking for something specific it can get quite frustrating. Classifieds sites organize listings better and in a more user friendly way making the browsing experience so much smoother. To leverage this advantage, make sure that listings are always categorized right and that the title and body of the listings are relevant and accurate. While Facebook has basic moderation in place, it is highly dependent on user reports, making it a reactive moderation form that leaves plenty of space for people to get scammed. Group moderation mainly falls on the admins, who more often than not are just ordinary people with no real experience within the classifieds industry. So while the requirement to use a Facebook account gives some level of security, buying through a Facebook group still offers way less security than classifieds sites who have invested in a good moderation process. From speaking to classifieds across the globe we know that most sites and apps have secure payment implemented or on the roadmap, but Facebook is also pouncing on this. If you live in the US you know that payment by messenger is already a reality and it will probably not take long before this is rolled out to the whole world. Once that happens, Facebook sales groups will be on par with many classifieds when it comes to secure payment options. This means that Classifieds sites need to step it up another notch, in order to differentiate themselves and come out as the better option. 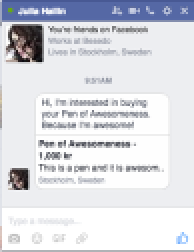 Part of the allure of Facebook sales groups is that you can sell your items completely free of charge. No listing fees or percentages taken off your earnings. However, while Facebook might not charge for their services, users are paying in other ways; with personal data. Facebook is all about harvesting the behavioral and demographical information of its users with the purpose to sell to third parties or otherwise utilize at a later stage. In contrast, most classifieds sites have a lot more integrity when it comes to handling user data. In the future it might be worth trying to influence the discourse to be more focused on user privacy, then it may sway users to favor classifieds sites or apps over Facebook. In the end though, it is probably time that classifieds started thinking outside the box. If Facebook can offer a network of 1.59 billion active users on a monthly basis, available in an app most people know better than the back of their hand, then classifieds will need more than a mobile app and some nice graphics to compete. What online marketplaces can learn from Facebook’s leaked guidelines and other moderation incidents.